The last day of camp started quite early, with boys waking up at 7am, and having breakfast at 7.45. 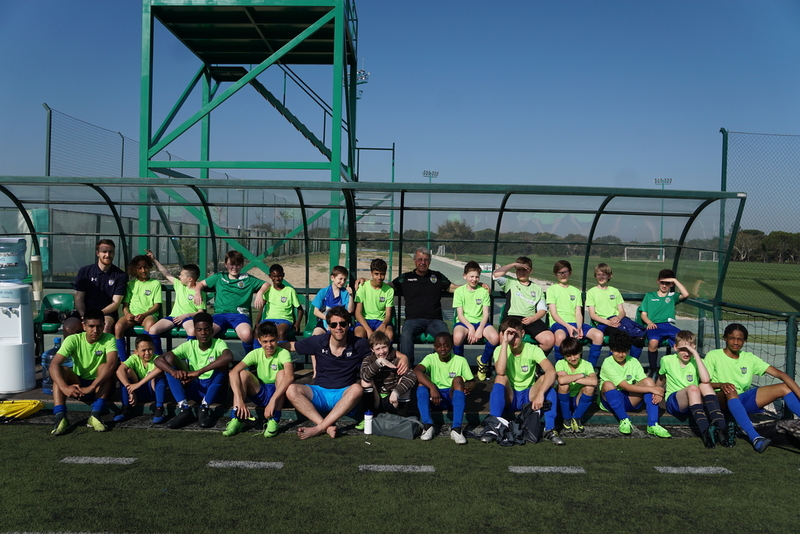 Boys woke up excited but some of them were already a bit sad to know this is the last day of this incredible adventure in the Sporting Lisbon Academy. 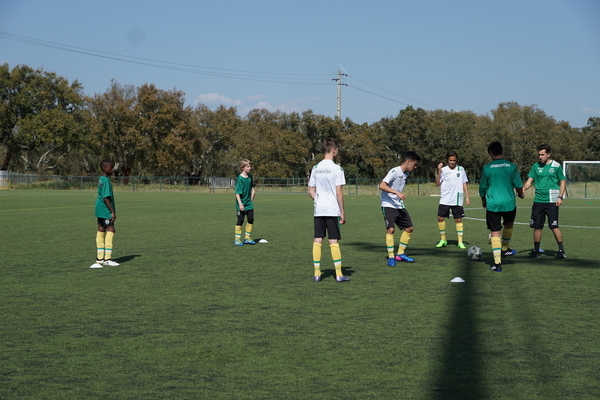 Training with coaches Marco and Miguel started at 8.30am and today the boys a match the whole training sessions under the watchful eyes of the Sporting Lisbon coaches, who would correct movements and positioning whenever needed. The day was really sunny and bright and the boys had a really good time. At the end the boys sang Happy Birthday to coach Marco, as they learnt he coached Eric Dier himself in his first team at Sporting Lisbon. The session finally ended with the delivery of the Sporting Lisbon Camp Certificates to the boys. Two of our players, Jacob and Kwaku were invited to trial with the U14s in the afternoon, which really goes to show the quality of the players we have at our academy. Curiously, both of them have gained their own nicknames at Sporting, Jacob is the “New Dier” and Kwaku the “New Usain Bolt”. Other players have been complimented for their technical ability, tactical knowledge as well as for their passion and determination at training and matches. 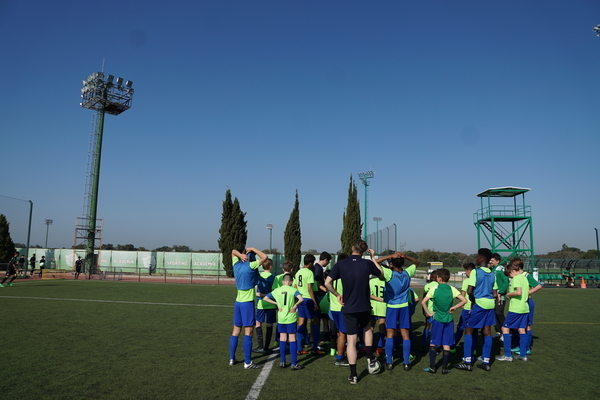 The Sporting Lisbon coaches made sure to discuss these players’ potential with Coaches Nuno and Michael, which made us very proud of our work this season. 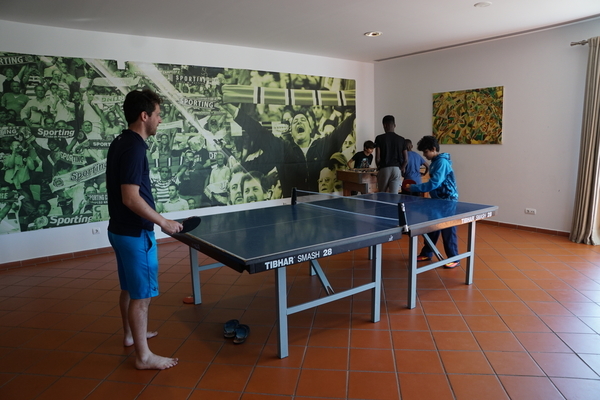 After the session boys had a quick shower and went to the Games Room until lunch time. Lunch was followed by some football in the Sporting indoor pitches. Before our return to London, Jacob and Kwaku trained with the Sporting Lisbon U14 team and did really well! We arrived to the Lisbon airport and boys were happy about seeing their parents again, but sad to leave. After a quiet travel by plane, it was time to hug parents and family again in London, with the promise that next year we’ll be in Sporting Clube de Portugal’s Academy again for another exciting camp!